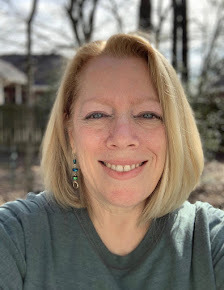 Well, not much has happened this week - I took a couple of days off from running, mostly because I'm getting a cold and feeling a little more wiped out than usual. Didn't feel too bad after the race, except for a little tightness in my glutes, but I'm pretty sure that's from those wicked Austin hills. Anyway, this will be a bit of a random post. One of these days, I'm going to walk a big race and carry my camera, just to take pictures of all the odd things people do. For example, Cary and I couldn't decide if a woman ahead of us was wearing black velvet shorts...or they might have been velour. Either way, it didn't seem like a good choice to run 6.2 miles in - talk about chafing! And then there was a woman running with her purse slung over her shoulder - and it wasn't part of a costume...nope, it was a regular purse, chain strap and all. All I could think was, she couldn't pare down enough to carry the essentials in her pocket? I've written about how I've been working on cutting back on my eating to make running easier. And while I've noticed that my pants are looser, I didn't realize that one of my sports bras has also gotten a little looser...until I started running on Sunday. I haven't worn that particular bra for a while (obviously), but packed it for the race because I figured this one would not chafe, if it rained, as badly as others. So hey - the diet is working more than I realized, but I sure picked an inopportune time to discover that fact! Ah well such is life you have to take the bad with the good I guess. Do you ever participate in online knit alongs? I am thinking of joining Lion Brands Vanna's Glamour Jacket. Why I don't know since I am currently knitting my husband a sweater for the coming fall. I started early to keep from feeling pressure to finish too fast and making a mess. I've done a couple knit alongs in person, but nothing online. I don't knit very fast and have a feeling that I couldn't keep up with the speed that most knitters have - these are the ones who are able to churn out big projects pretty quickly, unlike me, who might take a few weeks for a hat, LOL. I so recognize that, nothing better than people watching. I do it every day during lunch at work, even then you see the most interesting things not to mention on my daily walks. Best is sitting on a terrace with a cold drink and watch people. 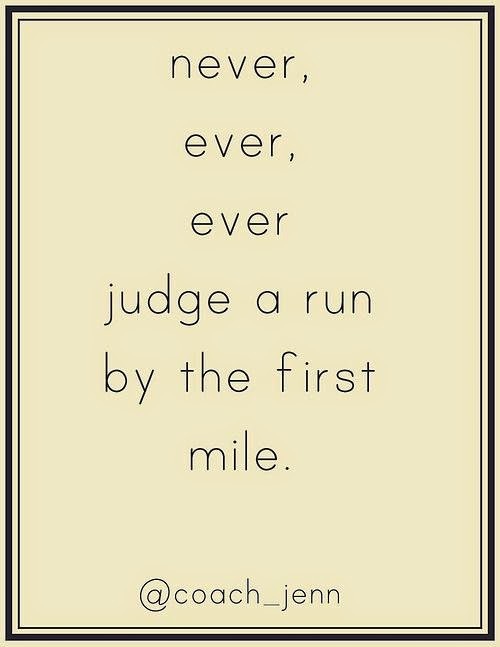 That last quote is so great, you know one time before a half you sent me a lovely card that said a bit the same like this one, it's still hanging on my "wall of fame" at home next to my running and walking medals. I have kept all the cards you have sent me over the year, all on the same wall. Glad to hear you're getting results from your calorie restriction. Who cares where the inches come off as long as they come off! People are weird but that's what makes big races so much fun. The weirdness never ends so you're entertained the entire time. I remember Mr. Helen telling me that he didn't mind being a spectator at my marathons because he so enjoyed the cast of characters running by. Oh yeah! Very cool that you are getting results on your diet!!! I hope your cold is a mild one, and you feel better soon! 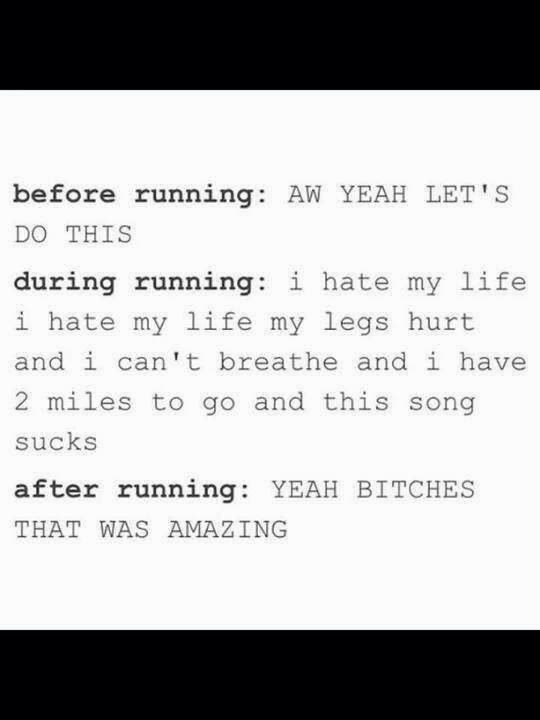 Yeah, that middle part of running is definitely the most challenging! Hurry up and load up on Vitamin C! (Not sure if that actually works, but "everyone" says to do that when you feel like you're getting a cold.) Awesome that you're seeing results from your efforts, even if it was an inopportune time! I started taking Zinc as soon as Jeff started coming down with his cold (last week), but it hasn't helped much - boo! One of my favorite races to do was the goblin gallop where people dressed up to run. Some people just did not think about their costumes. I saw one guy dressed as a werewolf dressing in a flannel shirt and wearing whole rubber head wolf mask. Talk about uncomfortable LOL! Glad your clothes are fitting looser. Send some of that my way, please.